As we all know, Lucasfilm Animation is going to be releasing a new cartoon, Star Wars Rebels. It has a lot going for it, even to someone who mostly avoided The Clone Wars– a diverse cast, an exciting time frame to play with, and the lessons of TCW to build off of. However, there is an element that gives me cause for concern. 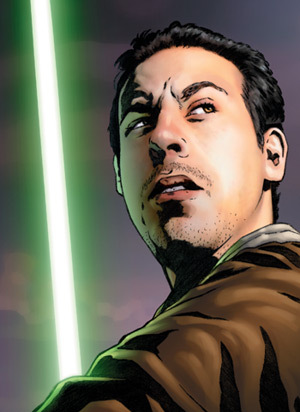 The protagonist, Kanan, is a Jedi who survived Order 66 and is training an apprentice in the ways of the Force. Couple this with the title- Rebels– and the setting- circa 5 BBY or so- and there’s a decent chance that this show will depict the founding of the Alliance to Restore the Republic. And likely as not, in such a scenario, the show’s Jedi protagonist will play some role in that founding. I’m not a fan of Jedi being heavily involved with the Rebellion at all, particularly in founding and leading it. To be sure, there is a long history of Order 66 survivors aiding the Rebellion in some fashion or another. 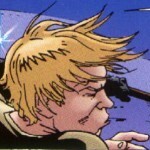 For example, in Star Wars: Galactic Battlegrounds, the Jedi Knight Echuu Shen-Jon aids the Rebel forces on Geddes, and gave his life to buy time for Princess Leia to escape the Dark Lord. Another Knight, Ylenic It’kla provided counsel to Bail Organa, and died when Alderaan was obliterated. The fallen Jedi Knight Halagad Ventor briefly aided a stranded team of Rebel operatives on Trinta before his death. Several other Jedi aided Rebel groups briefly before their inevitable deaths. There is a pattern that should be emerging here, yes? “Jedi briefly comes out of hiding, provides some help to isolated Rebels, and dies in the process.” It’s a pattern that I’m fine with, largely. None of the aforementioned Jedi played a critical role in the formation of or early conduct of the Alliance to Restore the Republic. 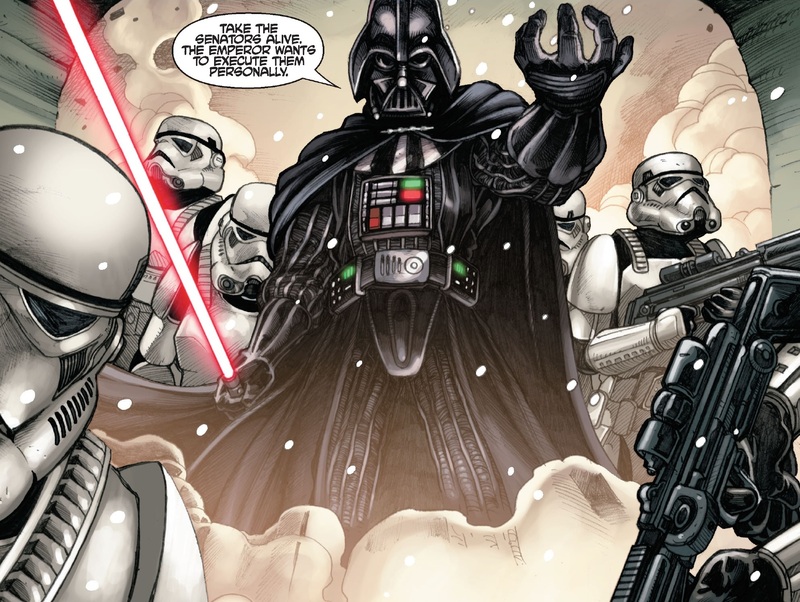 The problem starts to come about with the release of Star Wars: The Force Unleashed. Star Wars: The Force Unleashed is a 2007 video game starring Sam Witwer as Galen Marek, codenamed “Starkiller”, Darth Vader’s secret apprentice. Set 3-2 years before A New Hope, the game follows Starkiller as he eliminates several survivors of the Jedi Purge, is seemingly betrayed by Darth Vader, and assembles an alliance of dissidents and rebels with which to distract the Emperor so that he can be assassinated. In the course of this quest, Starkiller- accompanied by Jedi Master Rahm Kota- gathers together Senators Bail Organa, Mon Mothma, Garm Bel Iblis, and Princess Leia Organa (via PROXY) at an abandoned monastery on Corellia and found the Alliance to Restore the Republic, just in time for Darth Vader to sweep in, arrest the lot, and reveal that the whole scheme was a ruse to draw out the Emperor’s enemies. While Starkiller dies at the end of the game (and is subsequently cloned by Darth Vader), Rahm Kota goes on to become one of the primary leaders of the Rebel Alliance. This is the part that I object to, and it’s the part about Star Wars Rebels that concerns me. While the writing has been on the wall for years, I nevertheless object to Jedi Knights being involved with the founding of the Rebellion. In the Rebel Alliance Sourcebook (1990), the Corellian Treaty is described as having two cosignatories: Senator Mon Mothma of Chandrila and Senator Bail Organa of Alderaan; Senator Garm Bel Iblis of Corellia was later added by Timothy Zahn in Dark Force Rising. All three are, of course, non-Jedi. They aren’t even Force-sensitive. In its original conception, the Rebel Alliance was founded by three principled individuals who felt that the Emperor’s tyranny could no longer be tolerated, and sought to make a difference in the galaxy. All three knew very well that they were up against the most devastating military in the galaxy, and with Revenge of the Sith, Bail Organa was aware that the Rebels would be fighting the two most terrifying Sith Lords in galactic history. It’s an incredibly heroic moment, and a testament to the courage and moral fortitude of non-Force Sensitives throughout the Galaxy Far, Far Away. Throw Jedi Knights into the mix, and suddenly the Rebellion is led by the likes of Rahm Kota and Galen Marek. The impetus for resistance to galactic tyranny is taken away from the muggles who originally founded the Rebellion, and handed back to the Jedi, who by this point have become wildly overexposed in profiction. The Force-imbued supermen are once again in the limelight, in an era when they are supposed to be mostly dead- or at least, thoroughly marginalized. Some of the most powerful and respected Jedi of their day, Obi-wan Kenobi and Yoda, mostly sat out the Galactic Civil War, aside from providing guidance to Luke Skywalker. Yet now we have Jedi founding and leading the early Alliance. It’s endemic of a larger problem in the EU, where every work has to involve Jedi or Boba Fett, or else it is seen as potentially unprofitable. In A New Hope, there is one Jedi: Obi-Wan Kenobi. He isn’t involved with the Rebellion; rather, Princess Leia has to attempt to directly beseech him to aid their cause. Obi-Wan prefers exile on Tatooine. Luke joins the Rebellion, but for most of the Original Trilogy remains a pilot first and a Jedi second. Unlike the Prequels, the Original Trilogy does not suffer from a preponderance of Force Sensitives on screen, and instead opts to depict a period where the Jedi are mostly dead, and the Rebels mostly muggles. It is led by several former Imperial Senators, rather than a board of Jedi generals. Yet for the last decade, not only have survivors of the Jedi Purge come out of the woodwork, but they’ve also come to the forefront of the early Rebellion. My reservations may very well be unfounded- Rebels might never touch on the Corellian Treaty (or scrap it altogether), or perhaps the Jedi characters will have little involvement with the Rebellion. Nevertheless, given the recent history of the Expanded Universe, it’s not out of the realm of possibility that Kanan will end up playing some part in founding the Rebel Alliance. I’d really rather not have any more Jedi taking part in the early Alliance- for a group that’s supposed to be all but extinct by the Galactic Civil War, they sure can’t seem to stay out of the limelight. Lots of good points here – the “Jedi comes out of the woodwork to aid Rebels and then dies” was an easy plot point for comics and video games until the “secret Sith apprentice blinds Jedi Master and then helps found the Rebellion and rescues the founders of the Rebellion from the Death Star, and, oh yeah, the rebel symbol is his family crest, ” of Force Unleashed. One thing I loved about SWEARHAT was the idea of a Rebel conclave – different factions and groups and financiers coming from across the galaxy to be wined, dined, and recruited by the “official” Rebel Alliance – in search of soldiers and money and new allies. My hope is that rather than being a “founding chunk” of the Rebel Alliance, the gang from Star Wars Rebels instead is brought into the fold of the fledgling rebellion – they’re on the run, with no where else to hide from the Empire, on the wrong side of the law. Think the Azzameens in X-wing Alliance. I want an Azzameens TV series so badly. Yo, that is some real talk. I still go back and watch the opening cutscene from that game, almost 20 years later. I’m excited about Rebels because the young-Rebellion to ROTJ is my favorite time period. So much about what I love about Star Wars – the X-wing games especially, and now SWEARHAT – takes place in this fun and fertile ground for adventure. We get caught up talking and thinking about the nature of the Force and EP VII, and the “will they? won’t they” re: the EU, but it’s the adventures that are the most compelling. Ace Azzemeen had some great adventures. Literally the first thing I wrote here. Literally the first thing I read here – began following and commenting shortly thereafter. Also, I watched the cutscene that morning too. I don’t mind there being a hidden Jedi there, as long as he’s just that… HIDDEN. That its not something that is trumpeted. And, of course, I don’t want this crew to be vital to the founding of the rebellion. I just want them to be… a crew. A la Firefly. There’s some decent adventure hooks in WEG where failed Jedi trainees have joined various Alliance spec-ops groups, IIRC. That’s something that I’m fine with- hell, it provides a believable explanation for any lack of contact with Luke Skywalker. That’s interesting. It’s a wonder that no one has explored that thread in further detail. I agree that the presence of Jedi post ROTS has become a bit too commonplace of a plot point. In A New Hope, it is implied that the Jedi are all but extinct. To have a Jedi AND his apprentice feature in what will likely turn out to be a vital group representing the Rebel Alliance seems to go against that idea. Hopefully, the creators of Rebels will keep the spirit of courageous non-Force sensitives at the core of the Alliance’s foundation. In that vein, it occurs to me that Mon Mothma may play a bigger role in this show than she has in The Clone Wars thus far. I would definitely like to see more of her, as well as Bail and the “riff-raff” of the Rebellion. There are endless creative possibilities here. 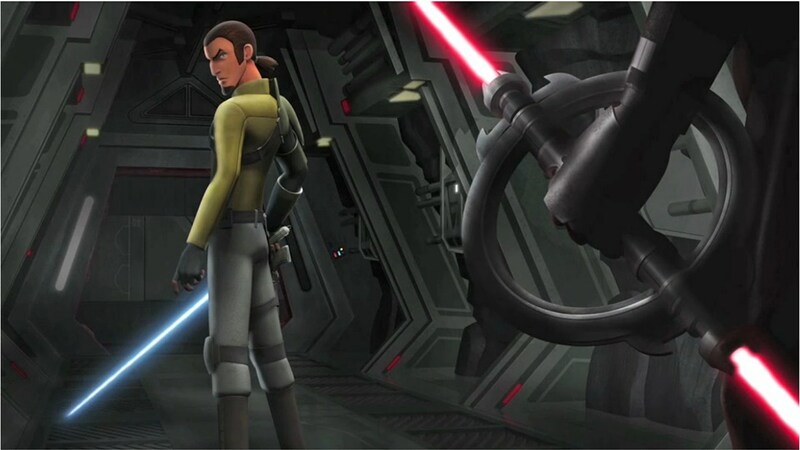 Regardless of the presence of Jedi in the series, I’m really looking forward to Rebels as a whole. Plus, I think that Kanan could turn out to be a truly endearing character. He’s a Jedi, but he’s a rusty one. Also, he could represent an opportunity to explore the idea that the Jedi Code might be faulty, that there were fractures in the previous Jedi Order that contributed to its fall. This would force Kanan to develop a different point of view and come to terms with the fact that the Jedi weren’t perfect. I really hope the crew of The Ghost aren’t involved in the founding (or leading) of the Rebel Alliance, but they are witnessing it. And I hope they drop the The Force Unleashed.version of the founding of the Rebel Alliance, I much preferred the WGE version.